This weekend Microsoft published a new Inside Xbox News Recap on the Xbox Wire news blog. The bulletin covered quite a bit of news regarding updates for the Xbox One system, pre-installed software, and about new games on the way. However, probably the most eye-opening piece of news was the announcement that variable refresh rate technology is on the way to Microsoft's current range of consoles. of nearly two hours in length. The segment concerning FreeSync starts at 1hr 38mins. Sometime this week Xbox insiders in the alpha ring will be able to start using AMD FreeSync compatible displays for VRR output. In the published video (above) and official blog post, AMD's Antal Tungler specifically mentions that the Xbox One S/X will get FreeSync 2 with HDR. A news post on this announcement published by Forbes answers the question you might have if you have an older Xbox One - what about me? According to Forbes' Jason Evangelho owners of the older Xbox One will get FreeSync (version 1). Most HEXUS readers will be well aware of the benefits of VRR tech such as AMD FreeSync and Nvidia G-Sync. With such a technology applied, your monitor refresh rate will be dynamically synced with your video card frames output, so they don't 'trip over' each other and result in stuttering, and/or tearing images on screen. Both AMD and Nvidia technologies go beyond that basic premise. 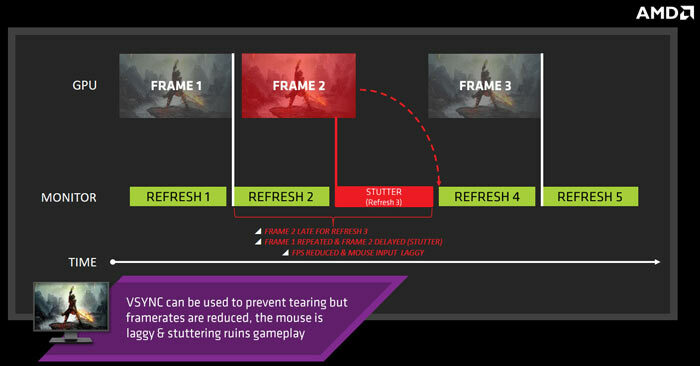 For example, here is an explainer video for AMD FreeSync 2. The newly announced Xbox software update. 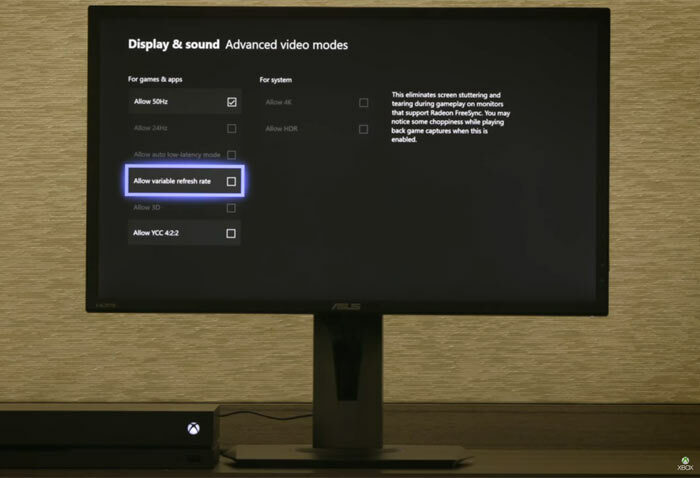 More specifically, a FreeSync display which is compatible with FreeSync over the HDMI output. In other Xbox update news, the console will support Auto Low Latency Mode on supported TVs later in 2018 (including select models from Samsung). This is a convenient mode where the TV recognises you are gaming and auto-switches to its low latency mode. Elsewhere in updates, Xbox One users will get an updated Microsoft Edge browser, more Twitter sharing options, and controller sharing with viewers on Mixer. Writings on the wall for G-sync then. That's my point, but freesync isn't AMD specific, it's an open standard. The PS4 has similar hardware so may well start supporting it soon too, many monitors included it now (as it's royalty free,) and a lot of 2018 TVs are starting to as well. If that continues G-Sync will die regardless of what Nvidia does with it if nobody makes compatible displays. But in terms of market sizes, once PS4 (also AMD) is on board as well, Freesync will just become standard - and on TVs too. G-sync will never make it to TVs as there are additional licensing costs involved. But in terms of market sizes, once PS4 (also AMD) is on board as well, Freesync will just become standard - and on TVs too. Still waiting for anything from Sony on this aren't we?